A touching new novel from bestselling author Elin Hilderbrand in which a woman sets out to find love for those closest to her – before it’s too late. 48-year-old Nantucketer Dabney Kimball Beech has always had a gift for matchmaking. Some call her ability mystical, while others – like her husband, celebrated economist John Boxmiller Beech, and her daughter, Agnes, who is clearly engaged to the wrong man – call it meddlesome, but there’s no arguing with her results: With 42 happy couples to her credit and all of them still together, Dabney has never been wrong about romance. Never, that is, except in the case of herself and Clendenin Hughes, the green-eyed boy who took her heart with him long ago when he left the island to pursue his dream of becoming a journalist. Now, after spending 27 years on the other side of the world, Clen is back on Nantucket, and Dabney has never felt so confused, or so alive. But when tragedy threatens her own second chance, Dabney must face the choices she’s made and share painful secrets with her family. Determined to make use of her gift before it’s too late, she sets out to find perfect matches for those she loves most. 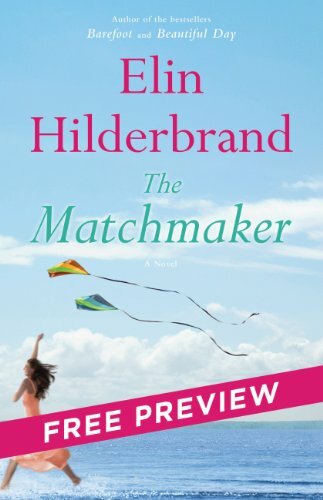 The Matchmaker is a heartbreaking story about losing and finding love, even as you’re running out of time.